This review originally ran in the Tuesday, January 15th issue of Shelf Awareness for Readers. If you don't already subscribe, sign up here to receive a bi-weekly dose of readerly goodness in your inbox. When an unidentified body is found floating in the fens outside of Cambridge, Detective Inspector Chloe Frohmann and her partner, Morris Keene, set out to figure out who she was--and how she died--while struggling to come to terms with a near-fatal injury Keene suffered on the job months prior. Meanwhile, Mathilde Oliver, daughter of a Cambridge professor, opens a letter addressed to a woman who may or may not exist and quickly becomes obsessed with finding her. And months ago, two nannies found themselves snowed in with their employers during a particularly bad winter storm--with far-reaching consequences. 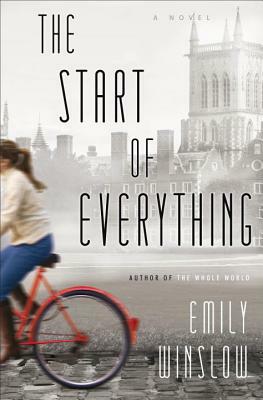 These seemingly unrelated stories form the foundation of Emily Winslow's second novel, The Start of Everything, which reintroduces key characters from Winslow's debut, The Whole World (though an understanding of the first is not required to appreciate and enjoy the second). The constantly shifting perspective and perpetually unreliable narrators used to introduce the case can make the novel feel scattered at first, but a little trust goes a long way in allowing Winslow's complex mystery to bring itself together. When it does, the result is a gripping whodunit steeped in lies and deceit and shifting truths that reinforces Winslow's place as a master of psychological mystery. The Start of Everything is a testament to the imagination of its author, dazzling in its ingenuity and gripping in its suspense.